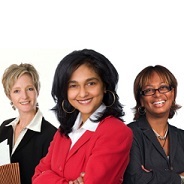 In today’s male dominated workplace what are the skills and qualities that develops women leaders and makes women more promotable than others? In a recent study by IBM, 95% of the women executives surveyed stated being visible and heard as the top reason for their success. Presenting Ideas with Confidence, Poise, Persuasiveness and more!